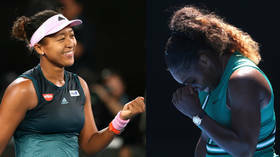 After Naomi Osaka sealed a place in the Australian Open final, tennis fans were quick to hail the rising Japanese star – while comparing fortunes with those of Serena Williams following the pair’s controversial US Open clash. 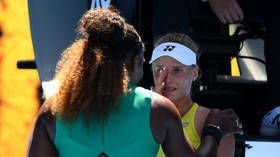 Osaka, 21, defeated Karolina Pliskova of the Czech Republic 6-2 4-6 6-4 in Melbourne on Thursday, booking a second straight Grand Slam final, where she will face another Czech, Petra Kvitova. In beating Pliskova to reach the final Down Under, Osaka came past the woman who had seen off US great Williams in the quarterfinal stage. Williams, 37, had held four match points against Pliskova but surprisingly squandered her lead after being called for a foot fault while serving for the match, paving the way for a comeback from her Czech rival. Osaka, in contrast, saw off Pliskova in a high-quality encounter that means the Japanese youngster will now have a chance at earning the world number one spot, should she beat Kvitova. 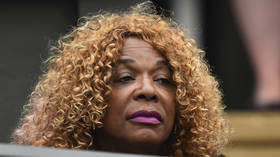 It is a tale of contrasting fortunes for Osaka and Williams, following their meeting in the season-ending Grand Slam in New York last autumn, which was overshadowed by Serena’s infamous meltdown and rant at the umpire. Following Osaka’s semifinal win in Melbourne, Twitter exploded with congratulatory messages for the Japanese ace, with some users insisting that she fully deserved to claim yet another major title after her bitter-sweet US Open triumph. Karma ,that was great. i was cheering out loud. haha What Serena did to Osaka last year was just disgusting . Im glad Karma got her backtonight. Pre-match, ESPN prematurely set up “US Open rematch” storylines for Serena vs Osaka. I would’ve loved Serena to win and get #24, but damn that’s the karma they deserve in the studio. Sorry not sorry. Others suggested that Williams’ long-lasting dominance had come to an end with Osaka taking the tennis throne now. Naomi Osaka is into the Australian Open Finals!!!!!!! With the old generation of Serena,Venus, Sharapova seemingly coming to an end..
Osaka is winning me over! I truly believe Serena Williams has one more grand slam left in her....but make no mistake, Naomi Osaka is the future.